As a business owner, you need to save money wherever you can. If you currently supply or are thinking of adding headphones to your inventory, buying in bulk is the way to go. Think about how many headphones you are going to need and discover how you can save by purchasing more at a time. Get in touch with all the areas of your company. If other divisions need headphones, group together with them to maximize your savings. Also, take into consideration what types of headphones you are going to need. There are several styles out there and knowing what you need can make the ordering process much easier. 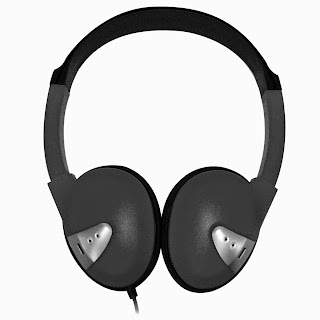 There are several types of headphones available on the market today. When shopping for what you need for your business, consider what type of headphones your customers are going to want, and what they are going to benefit from the most. There are both earbud style headphones that go directly into the ear and headphones that can be placed over the ear. You can also use communication headsets with microphone, ideal for online communication. In order to decide which type of audio listening devices you need, you need to think about the clients you are serving. Young and elderly people are not going to benefit from earbuds. These devices are harder to put in, and people that have never used them are going to get easily frustrated. Earbuds are great for those that have experience using them and can be beneficial to athletes at the gym for instance because they are lightweight and portable. Over the ear headphones are much easier to wear. However, they can easily fall off if there is a lot of movement going on by the person wearing them. These are better for stationary listening like sitting in an airplane seat or next to a computer. Regardless of the style of headphone you choose for your business, buying in bulk is going to save the company money. The more you buy, the more you are going to save. The disposable bulk headphones found at FirstClassHeadphones.com are shipped individually packaged for easy storing and distribution. Purchase orders are also accepted with a business verification. Place an order of $200 or more and the cost of shipping is free. These are an economical solution to keeping your customers satisfied, and it gives you the potential to increase your revenue. We also offer volume discounts on disposable earbuds. If you have any questions about bulk headphones for your business please reach out to our team and we will do everything we can to make the process quick, easy and affordable. Thank you for visiting First Class Headphones Blog. Headphones are adjustable to the size of the listener’s head and are held in place by by a combination of tension applied to the ears and the physical apparatus atop the head. This prevents them from falling out. Thanks a lot friend for sharing about the affordable headphone solutions for your business and the headphones topic. I really do appreciate the entire post about how all of it works. So you've gone out and bought yourself a brand new gadget to use to listen to your music choose headphones.